Posted May 9, 2018 by Cartoon Genius & filed under Cartoons. quality of the authors, but in the person who reads them. everybody…so one size never fits all. wasted if you just read the book, and do nothing else. Cartoon Services from Richard Duszczak, cartoonist for hire. Cartoon Studio working to make you and the rest of the World smile! 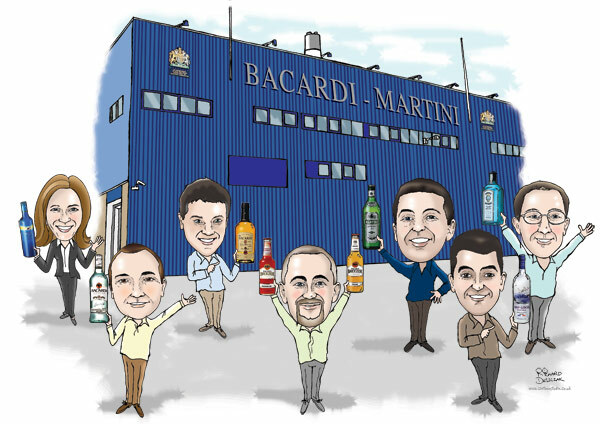 Corporate caricature out of my archives – drawn from photos supplied. Posted April 26, 2018 by Cartoon Genius & filed under Caricatures. Send me a good quality photos, high resolution if possible, the quality photo that you send will be affect with the results – a nice big smile is always preferable! Over 35 years in cartooning and whiteboard animation, this is my passion! Hope to hear from you soon! A good cartoon enhances your product, brand or image!